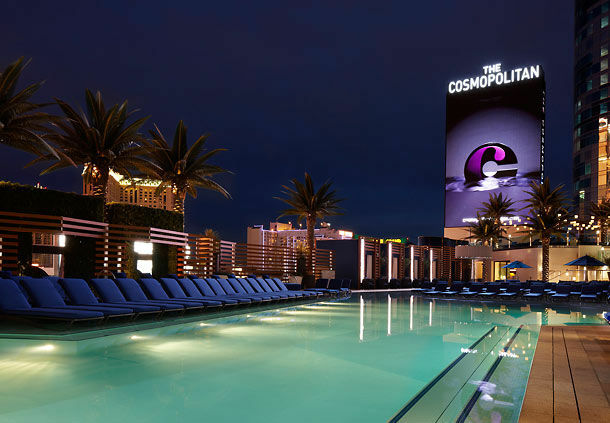 The Cosmopolitan Las Vegas, located near The Bellagio, Caesars Palace, and the City Center complex, is one of the trendiest hotels on the Strip. 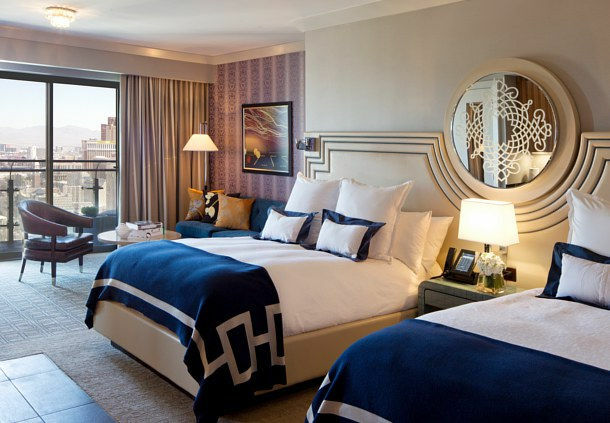 Enjoy luxury accommodations that feature spacious rooms, designer décor, comfortable furnishings, and breathtaking views. Play or relax at 3 distinct Las Vegas resort pool experiences, all with spectacular views. Boulevard Pool’s open-air environment offers unobstructed views in all directions. The Bamboo Pool is inspired by the desert landscape, and designed for pampering. The Marquee Dayclub Pool is a lively beach club experience for adults. Rejuvenate at Sahra Spa & Hammam, inspired by the desert’s expansive sky, beautiful sand sculptures, and enchanting nights. The spa features 18 massage rooms, separate wet areas for women and men, pools, saunas, steam rooms and the hammam room. The beautiful, spacious rooms, located in the fifty-story East and West Towers, range in size from 600 to over 5,000 square feet. 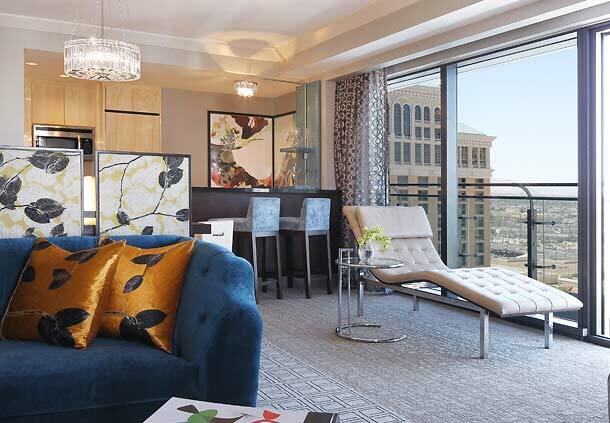 Enjoy luxurious accommodations with private terraces overlooking breathtaking views of the Bellagio fountains, CityCenter, or Planet Hollywood Resort. 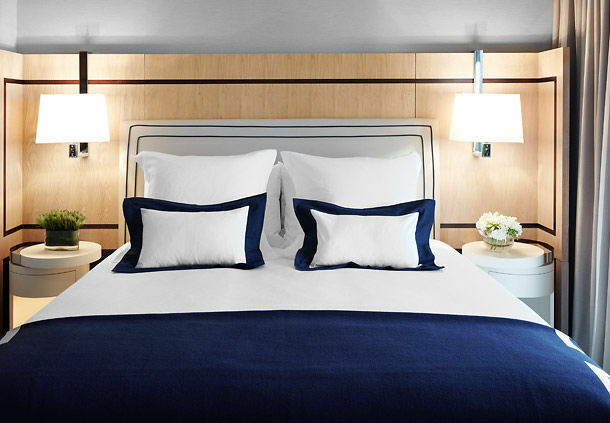 Rooms feature contemporary décor and state-of-the-art technology, designed with a feel of an elegant urban residence. Luxurious, spa-like bathrooms feature large soaking tubs, rain showers, and elegant marble floors. 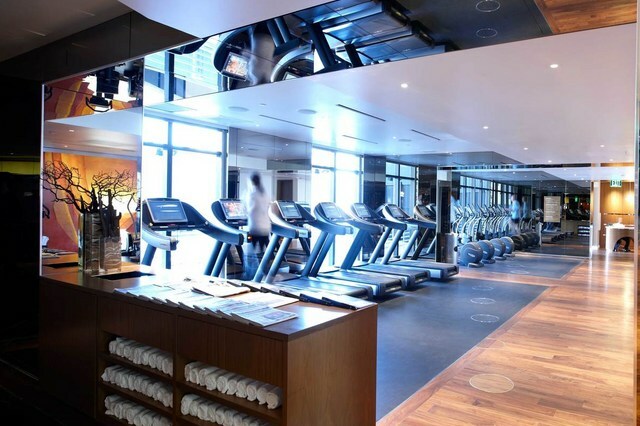 The two fitness centers, located in both the Eastside and West Towers, are state-of-the-art. Both fitness centers are equipped with treadmills, elliptical machines, upright and recumbent fitness bikes, resistance strength equipment, a free weight area, and personal lockers. Stretch area with stretch trainer, lounge area, Technogym Wave, Spinning Bikes, Movement studio, Tennis courts, and Kinesis equipment (offers zero-impact exercises for all abilities and fitness levels). 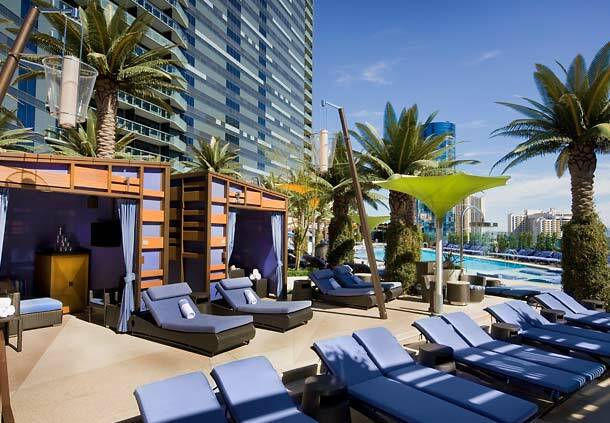 Play or relax at 3 distinct Las Vegas resort pool experiences, all with spectacular views. Overlooking the heart of the Las Vegas Strip on the East Deck, Boulevard Pool’s multi-level, open-air environment offers unobstructed views in all directions. 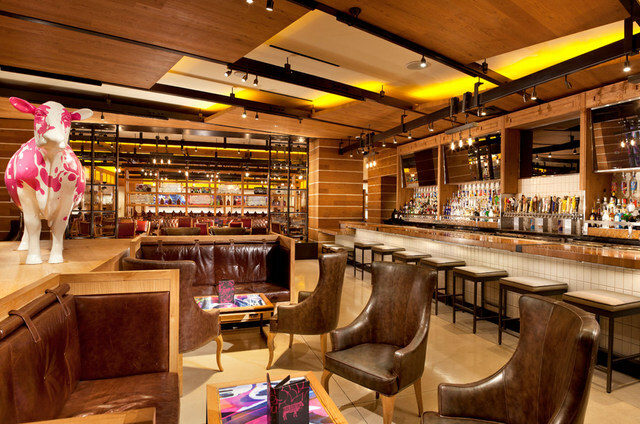 Upbeat music, combined with intimately spaced lounge chairs and daybeds, creates an energetic social scene. The Bamboo Pool is inspired by the desert landscape, and designed for pampering. Take a break and enjoy a soothing, private canyon-like feel while you relax and experience some of the revitalizing spa offerings. The Marquee Dayclub Pool is a lively beach club experience for adults. 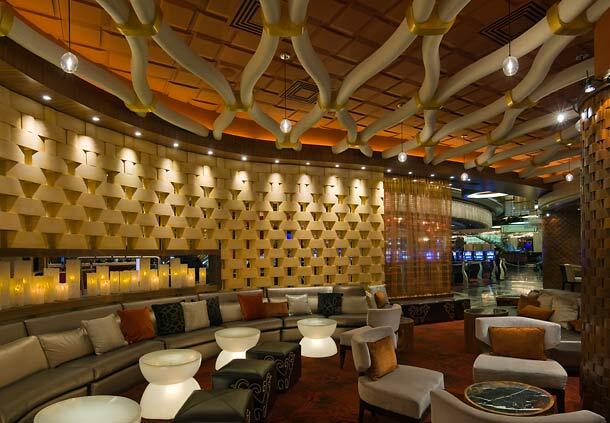 During the day it radiates a lounge-like feel, while at night it transforms into an extension of the nightclub. 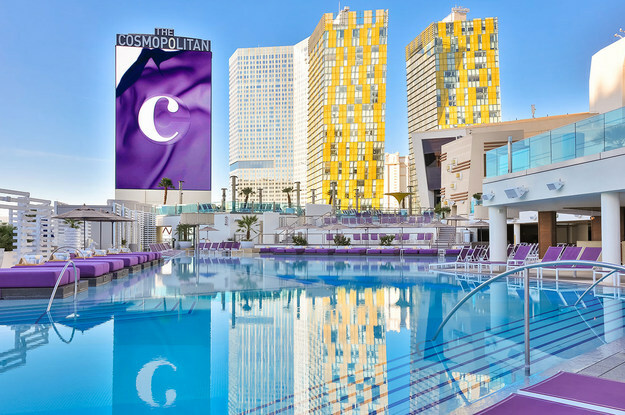 The Cosmopolitan Las Vegas pool area features three-story Bungalow Lofts, each complete with living quarters, a grand pool cabana, infinity plunge pool, and a party deck on top. Note: Pool hours are subject to change due to inclement weather and special events. The 44,000 square-foot Sahra Spa & Hammam was inspired by the desert’s expansive sky, beautiful sand sculptures, and enchanting nights. 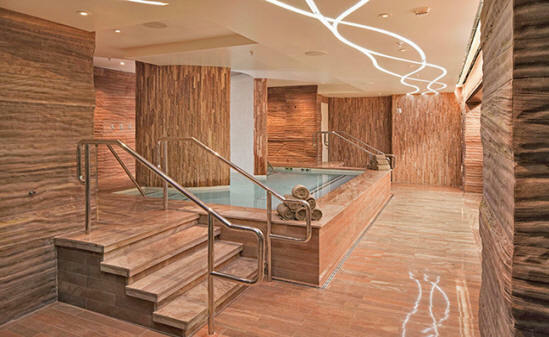 The spa features 18 massage rooms, separate wet areas for women and men, pools, saunas, steam rooms and the hammam room. The hammam room contains a heated motherstone slab, two whirlpools, steam rooms, and stone loungers. It can be used privately, or accommodates up to 3 people. Designed for two, the spa suites provide a treatment area including a steam room and shower, deep soaking tub, relaxation space, and a personal vanity area. The Sahra Spa Penthouse Suite is a private, exclusive experience that can be enjoyed alone or shared with your closest friends. Bypass Sahra’s locker area and take a private VIP elevator to this luxury suite. The suite combines a living and entertaining area with private spa accommodations. Relax or celebrate with comfortable plush seating, a flat-screen TV, an iPod dock and a wet bar. Enjoy services in a private treatment area, with two side-by-side whirlpool tubs, a steam room, shower, and changing and vanity areas. An eclectic collection of shops, from limited edition sneakers at CRSVR Sneaker Boutique to the tailored suits of Stitched. At Rent the Runway, you can rent designer dresses and accessories for a fraction of the retail price, and return the items the next day. Cosmopolitan event planners will help you create a one-of-a-kind wedding celebration, or plan an unforgettable Bachelor or Bachelorette party. Choose from three wedding packages or create a unique, fully-customized experience to celebrate your union. When booking more than five hotel rooms for a bachelor or bachelorette party, an Event Planner will help you create an unforgettable celebration. Estiatorio Milos is as glass-enclosed space by restaurateur Costas Spiliadis, well known for serving the freshest, most pristine seafood. 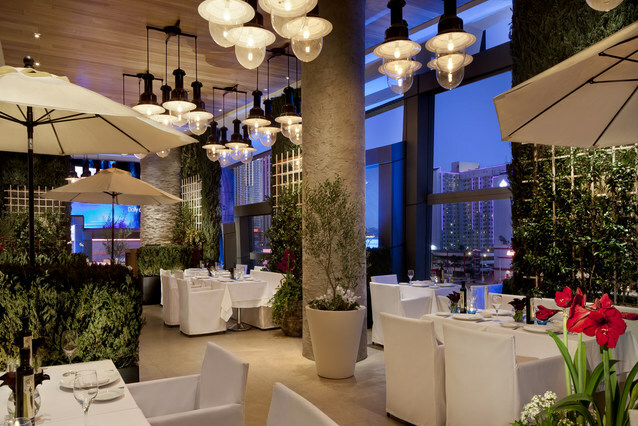 China Poblano combines the flavors of Mexico and China to create a breakthrough restaurant experience that incorporates both authentic dishes and inspired new favorites. Beauty & Essex offers unique sharing plates and new twists on classic cocktails in a speakeasy-like setting. 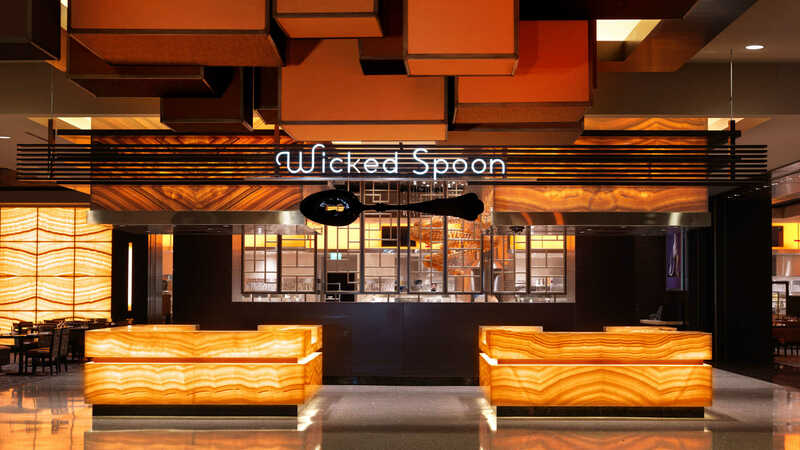 A bustling culinary food hall, the Wicked Spoon delivers well-crafted original selections for every appetite. A perennial favorite in Washington, D.C., Jaleo was one of the country's first successful tapas restaurants, setting the standard for Spanish cuisine in the United States. Overlook Grill is a casual breakfast and lunch destination, offering simple and straightforward American staples with hints of Riviera chic. Eggslut is inspired by a true love for eggs. The menu is a combination of comfort and innovation, featuring food that appeals to both novice and extreme foodies through classic comfort fare with a twist, all-encompassing the key ingredient, eggs. Holsteins places an emphasis on fresh, natural ingredients and specialty burgers, as well as a wide variety of shakes and sides. Named after the highest-quality classification for Italian wines, D.O.C.G. is a casual rustic Italian restaurant featuring pizza, pasta, steaks, and chops, along with an exceptional selection of wines. Tucked away in a small private room adjacent to Jaleo’s bustling bar and paella grill, é by José André offers a clever and creative tasting menu of Spanish avant-garde dishes. Milk Bar puts a playful spin on familiar homestyle desserts and savory snacks using quality ingredients and locally sourced dairy. The Henry revamps old-school classics and reinterprets tried-and-true dishes and drinks. You’ll enjoy a cultivated atmosphere with a touch of witty charm. 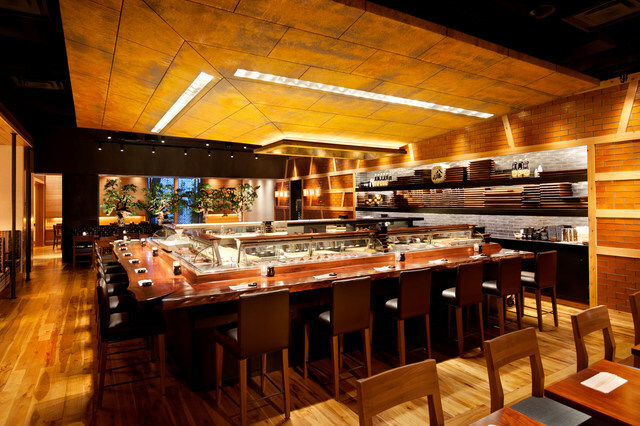 Blue Ribbon Sushi Bar and Grill's menu offers an opulent array of dramatically prepared and presented sushi and sashimi. Opening late 2016, Zuma features modern Japanese cuisine and award-winning world-class cocktails in an elegant and sophisticated environment. A traditional Starbucks featuring non-traditional art and scenery. 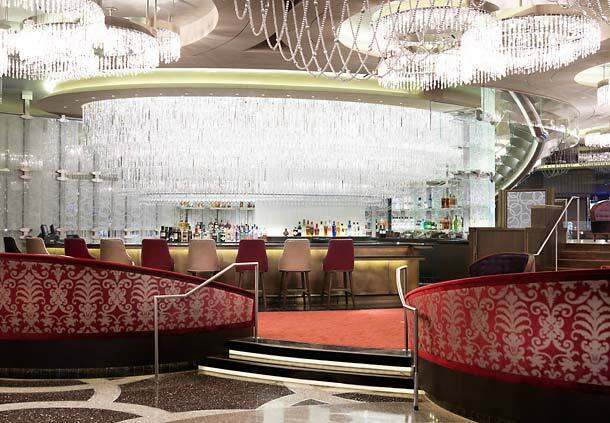 Enjoy your favorite coffee drinks, Frappucinos and lattes while overlooking The Las Vegas Strip. Bond is a chic cocktail house with dynamic LED lights, art, gaming, and upbeat house music complete with live DJs and dancers. The Chandelier houses three unique experiences: a high-energy hot spot, a sophisticated cocktail haven, and an inviting lounge. CliQue reinvents the lounge experience with tableside mixology and seasonal cocktails featuring fresh juices and garnishes. 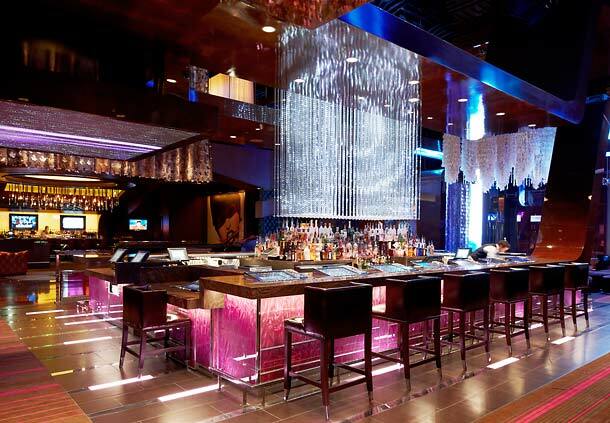 A high-energy social scene, Queue Bar offers an original take on gaming where guests can sip cocktails while trying their luck at slots and tables. The Study at ROSE. RABBIT. LIE. delivers an elevated experience where guests can enjoy a sophisticated cocktail hidden from the hustle and bustle of The Strip. 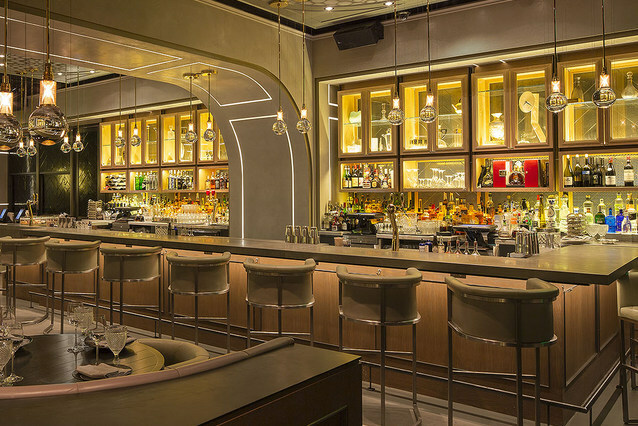 With a nod to James Bond, this Las Vegas Strip bar offers cocktails mixed with style, grace, and classic charm in a contemporary setting. Monday evenings from Memorial Day to Labor Day, the Marquee at Boulevard Pool transforms into a colossal movie screen, showing film favorites high above the Las Vegas Strip. Take a dip or lounge poolside as you enjoy handcrafted cocktails and traditional movie snacks under the stars. 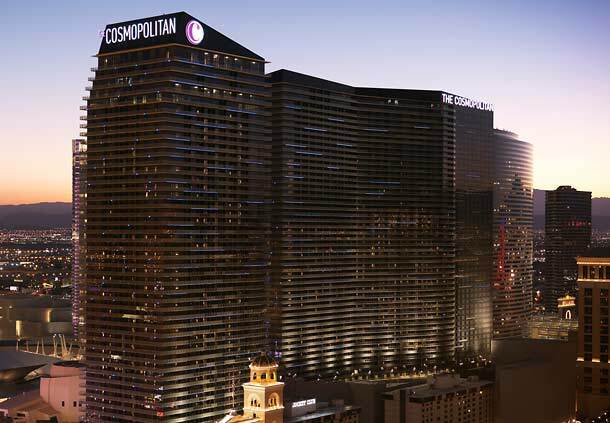 Unlock exclusive rewards and earn valuable points for almost every dollar spent to redeem throughout The Cosmopolitan of Las Vegas and thousands of other resorts worldwide. 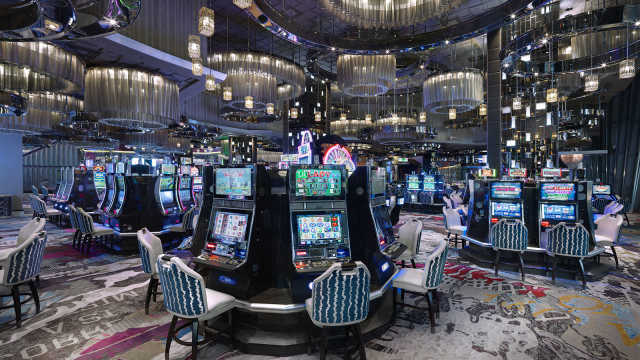 A wide variety of slot machines – approximately 1,300 reel spinning, video reel and video poker machines with denominations ranging from $0.01 - $500. 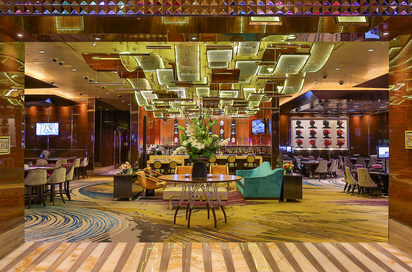 Located just off the main casino floor on Level 1, the lounge offers 17 classic Las Vegas table games with minimum bets of $100, including baccarat, mini-baccarat, single-zero roulette and blackjack. 23 video poker machines and multiple high-definition televisions showing live sporting events. 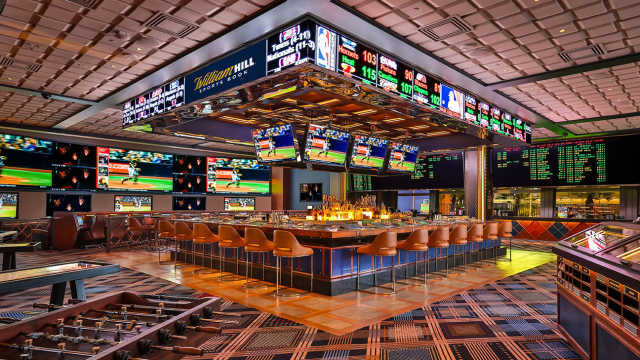 A sports-themed table games area is immediately adjacent to the Race & Sports Book, also featuring high-definition televisions and direct views of the main LED walls. On-site FedEx Business CenterConcierge available daily, 7 a.m. – 9 p.m.